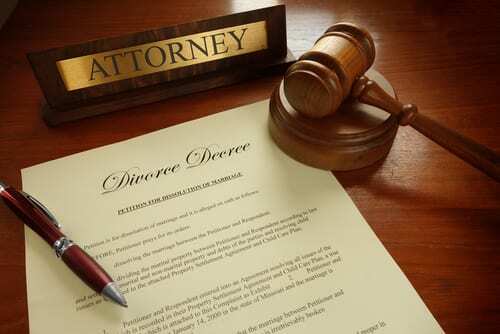 When a divorce is finalized, many court orders will go into effect. The court will specify how much child support is to be paid and when, how much alimony is to be paid and when, and who has primary custody of the minor children vs. visitation. These court orders are typically valid for many years, however, family circumstances often change, making adhering to the court orders difficult or impossible. However, there are serious legal consequences for not following the terms specified in court orders. Here’s how you can modify court orders like child support or child custody in certain circumstances. A child support or alimony order will specify how and when payments are made and to whom after a divorce. However, the terms of the payments may not be possible to adhere to several years after the divorce. For example, the person who is making child support or alimony payments may have lost their job, and may have difficulty paying the same amount every week or month after that. Another example is when a person receiving alimony remarries. After the marriage, the payor no longer has the responsibility to make alimony payments anymore, however, alimony payments must be ceased through the court in order to avoid potential legal consequences. In order to change your child support or alimony orders, you must first contact a skilled family law attorney in Corpus Christi. Provide your lawyer with evidence of a substantial change in income or proof of remarriage, and your attorney can help you file the appropriate paperwork to have your orders altered. In some circumstances, it becomes necessary to change child custody orders. This can be more challenging than modifying alimony or child support orders, however, it is still possible to do provided you have an experienced attorney on your side and adequate documentation and proof of why the custody arrangements need to be changed. For example, you may have discovered that your children are being abused while in the care of their primary custodian, or your child has reached an age where they can specify who they want to live with primarily and doing so requires a change in the current custody arrangements. By working with an experienced Texas child custody attorney, you can learn more about what scenarios necessitate the modification of a child custody order, and what documentation you need to support your case. It is unlikely that you will be able to petition the court for a modification to a custody order successfully without the assistance of an attorney, however, chances are high that you will prevail when you have a veteran family law attorney in Corpus Christi on your side. Contact the Bourlon Law Firm today to discuss the modification of your child custody, child support or alimony orders. We can help give you the information you need to make sound decisions about the important matters that affect your family. Call now at (361) 289-6040.